In the history of cities, it has always been that the Square hosted the artistic and spiritual happenings of the Community. Today, this fulcrum of the Human Landscape constantly sees its centrality radically reduced: we witness the loss of the real square in favour of the virtual one. The Street Performing Arts, one of the areas of the Cultural and Creative Industries currently in greatest ferment, represent the need of our society to reassign the Theatre to the Square, in its dimension of collective ritual, of unrepeatable event, as expression of social-man and his creativity, his ability to challenge the power (buffoon) and yet his need to relate to the transcendent (mystery). Almost always, the Cathedral, the Palace and the Market are the elements that morphologically define the limits of the Square. They evoke the historical forces that have culturally shaped our Cities and our Europe: the Church, the Aristocracy/Bourgeoisie, and the People. Each of these forces has produced a precise genre of Entertainment "in its own image": the Sacred Drama, the Knightly Epos, the Feast of Fools. 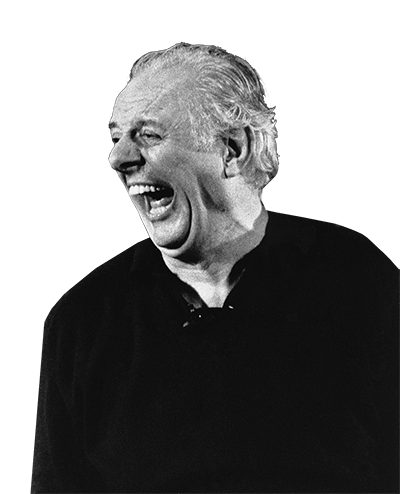 The recent passing of Dario Fo, effective patron of the European Popular Theatre, and Jester awarded by Nobel, devoted to the history of the show his deep human and intellectual insights, as well as a general awareness that the sacred and the profane, the spirituality and the physicality, are always connected. 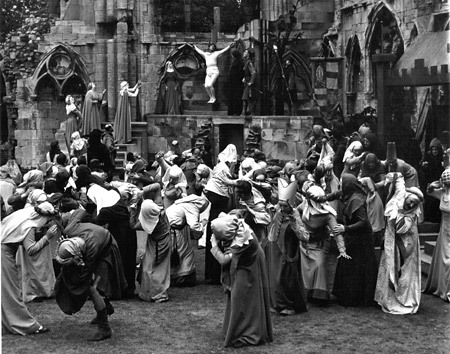 Since the late Middle Ages, the popular success of the Miracle Play (irreplaceable tool for the catechesis of the masses), is due to the distinctive alliance between the dramatic forms of the religious event and the digressions of pure entertainment, for which jesters and buffoons with incontestable skills were involved. Because of this, being aware that both components of rituals and transgression are inseparable in the evolution of theatrical forms and constitute the basis of contemporary theatrical culture, we entitled our project Mysteries and Drolls. The Mysteries and the Drolls (as demonstrated in the Theatre of Dario Fo) can today give an irreplaceable contribution to the strengthening of the European identity of the theatre, which just in the relationship between the Sacred and the Profane, the Popular and the Cultured can be adequately nourished. 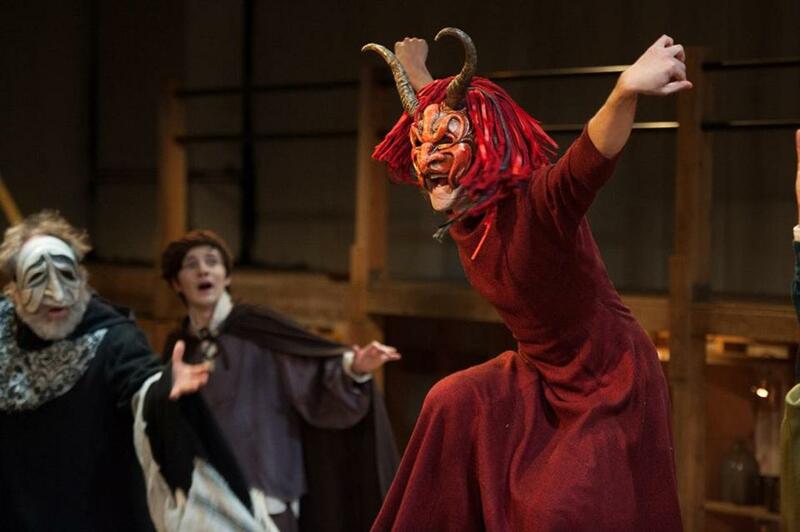 The different characters and the art languages of Sacred Theatre and Popular Drama have an undeniably European feature, and they cannot be ignored by those who are today involved in theatrical creation in the context of trans-national performing arts markets. They represent valuable tools for promoting the cultural integration of EU countries, real key elements in the strategies for developing the sector and for the internationalizing the networks. The link between Sacred Representation and Popular Drama has a dimension that spreads throughout our Continent, through a range of different countries and cultures. In Italy, the sacred theatre saw its prelude between the 13th and 14th century, in the form of the lauda drammatica. Such performances already incorporated all the features of a play with actors, costumes and music. The evolution of these lyric-theatrical compositions, using increasingly 'dialoguing' dramatic forms and thanks to the increase of stage effects, leaded, during the Renaissance, up to the proems of the Commedia dell'Arte. In England, the "Mysteries" of the 13th and 14th centuries anticipated some salient features of the Elizabethan Theatre, while the Feasts of Fools (or of "Innocents" as they were called in the Paris of the Court of Miracles) represented one of the rare occasions of " authorized transgression " for the people (as well as for the clergy), and helped to promote the secular art of the Buffoon in a wider synthesis between collective ritual and irrational catharsis in a context of overall unbridled fun. The Background on which the cooperation of the Mysteries & Droll project is developed goes even further, and draws on the Spanish Misterios and Auto Sacramentales (the partnerships involves Elche, the city where one of the oldest and best-known Mysteries has been performed for 5 centuries: the Misterio de Elche, recognized as Intangible Heritage by UNESCO); to the German Fastnachtspiele (Carnival Events); and finally to the Polish Theatre of religious inspiration. All our continent’s spectacular forms of early theatre are in debt to the Square and to its greatest protagonist: Street Theatre. They have developed thanks to the craft of countless artists who have been able to successfully established deep cultural roots within the multiplicity of their techniques. These roots are not only ancient and still vibrant roots, but also trans-national roots because in constant motion, wandering across all borders by their own nature. They are alive enough, in every age and country, to transmit lymph to new forms of performance and to contribute to the process of formation of the new European Audience. However, Street Theatre shows today several weaknesses: extreme fragmentation, lack of awareness of the potential of choral forms of performance, frequent lack of dramaturgy, and the progressive abandonment of elevated theatrical languages in favor of simpler styles of ''street entertainment" and "circus entertainment". The development of this sector of the performing arts, on a long-term basis and beyond the fashions of the moment, necessarily passes through the rediscovery of its own roots, of performing archetypal forms and the languages derived from them. 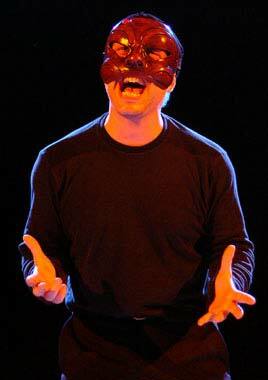 In fact, it is from the Mystery Plays that that urban spectacles derive the use of their own languages. The creativity of buffoons-authors-performers of their own texts become an integral part of the staging in the first Theatre Brotherhoods (Companies) responsible for the production of Mysteries on behalf of the religious communities. The drama moves from the church to the churchyard and down to the Square. This is the reposession of Urban Space, the place where the religious event turns into a profane feast (from the Latin "pro" in front, "fanum" temple). In our time the theatre "descends" once again to the Public: it is a New art Pentecost, whose main challenge is to be able to concentrate in itself the potential of contemporary drama, (for which the sacred traditions are a priceless asset of reference), as well as the lightness and versatility of Street Performing Arts, and its ability to perform in close contact with the Spectator. At the dawn of the Third Millennium, the Theatre in the Square allows us to overcome again the rigid barriers between artist and spectator and to rediscover the dimension of a shared Rite in the theatrical act, useful to celebrate the Cultural Identity of a community. In this way the process of artistic production can turn into Social event, and the participation of the public can be extended even beyond the physical reality of the Event, in the context of what is today called “Digital Community”. Thanks to the rediscovery of the original languages of the Sacred Representation, Jester and Buffoon Acts, Contemporary Theatre, Dance and Music, Physical Theatre, Storytelling or Puppet Theatre, will all recuperate their own place in their primordial site of performing, in the areas of Social Life, and every time will transform these spaces in a different Square and Rite; they will give back to the Spectator an active role in the performance. Mysteries and Drolls intends to launch a co-operation in the framework of research, training and experimentation, in a European and intercultural dimension, on the forms and languages of medieval theatre and jester arts, emphasizing the centrality of the forms of the sacred and the buffoon, for the benefit of artists and operators from all theatrical sectors. It will connect the street arts with performance on stage. But, above all, it will involve the various stakeholders of the communities and in the areas of reference, inserting them in a network of production and distribution relationships (at local, inter-regional and European levels). Stakeholders will be involved as possible auditors, possible co-creators and performers of a programme – or programme segments aimed not only at constructing an area for the exchange of cultural products that correspond to the project's lines of inquiry, but also at defining good practice for training and the active participation of audiences. All of this will be possible also through international creation and of co-production projects, able of achieving an absolute European visibility within the framework of the events scheduled in the program. In these projects the creative staffs of cooperating countries will be invited to share, with artists from different countries, their artistic visions and the identities of their respective theatrical culture. The project will produce a European dimension event, the Mysteries & Drolls Festival, which will be hosted in Italy and Northern Ireland for 3 editions, in the context of two of the most important European events for the Street Arts: the Mercantia International Festival in Certaldo and the Festival of Fools in Belfast. The project will go on to create a European market for Popular Theatre, by organizing an itinerant European showcase (in 2019 in Certaldo, Italy and in 2020 in Belfast, United Kingdom) that can be a meeting point for offer and demand between companies and programmers. Such an ambitious activity plan will be made possible thanks to the great expertise and strong backgrounds of the partners involved, which have made them, over decades of activity, key centers for the theatre sectors which are object of the cooperation. 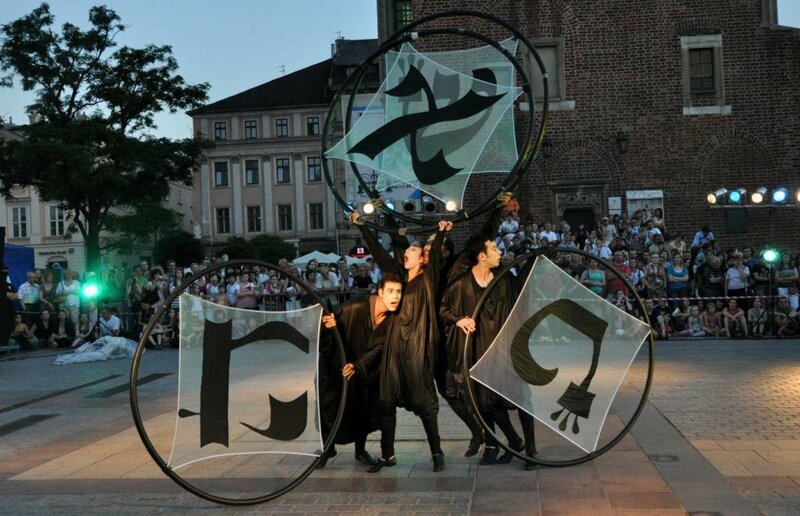 In addition to the already-mentioned Festivals, which represent points of reference for the whole sphere of European street performing arts, also involved are companies and training centers in Spain, Poland and Germany, all of which have many years of experience and activity, achieving high-level projects of production and professional training in the realm of contemporary dramaturgy of Sacred and Street performance.